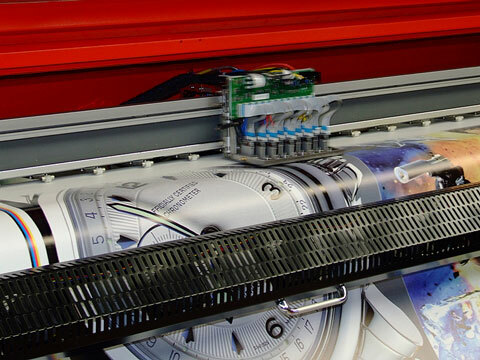 A large-format printer, which is used to print newspapers and other large format projects, is photographed in action. In this image, the printer appears to be printing a colorful advertisement. The ink cartridge, which is pictured in the center of the page, whirs as it moves from left to right.